Ilena Silverstein graduated from New York University with a Doctorate in Physical Therapy in 2012. She received her undergraduate degree in Behavioral Neuroscience from Lehigh University in 2009. Since graduating, she has worked in the out-patient orthopedic setting, as well as in the Pediatric setting. She has taken a wide range of continuing education courses including a variety of manual technique courses and a certification in the Graston Technique, a form of instrument-assisted soft-tissue mobilization. In her free time, Ilena enjoys running, exercising, cooking, reading, and spending time with family and friends. Kerry Bate founded the Hand Therapy program at Yorkville PT in 2010. She earned a Master’s degree in Occupational Therapy from New York University in 1997, and holds a Bachelor’s degree in History and English from Villanova University. Before joining the team at Yorkville, she worked in a number of hospital and private practice settings in New York City. Kerry specializes in treatment of traumas to the hand wrist and arm, and is an expert in fabrication of custom-made splints to meet all patients’ needs. Outside of work, Kerry enjoys outdoor activities such as jogging, hiking, and gardening, as well as traveling with her family. 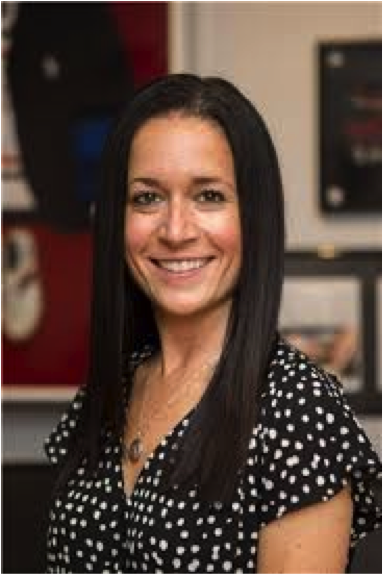 Alex Stabile graduated with a Master’s degree in Occupational Therapy from SUNY Downstate Medical Center in 2010 and also holds a Bachelors’ degree in Psychology from the University of Pittsburgh. While studying at SUNY Downstate, Alex was selected to receive a scholarship from Burke Rehabilitation Hospital in White Plains where he worked upon graduation. Alex has also worked in the hand clinic at Harlem Hospital where he specialized in the treatment of traumatic injuries to the upper extremity. Outside of work, Alex enjoys hiking, skiing, golf, and running. Naline Hansraj is the longest-tenured Yorkville team member, having seen the company evolve and grow since she started in 2008. Her attention to detail and knowledge of insurance and authorization procedures are unparalleled, and she welcomes everyone with warmth and the sincerest kindness. When not helping patients feel at home in the clinic, Naline enjoys spending time with friends and family, fastidiously organizing her home, and going to the beach with her two joyful sons in the summertime. Amy Sticco has been with company since 2005. Originally at the Lower Manhattan physical therapy location as front desk personnel, then moved to the upper east side location Yorkville physical therapy. Since then Amy had taken a break from the workforce to start a family. Now with a daughter in school she is back in action with the company working on the marketing team. Amy enjoys living in the city and enjoying quality time raising her daughter with her husband.